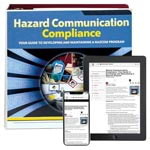 The OSHA Hazard Communication Standard is designed to protect employees from hazardous chemicals used or stored in the work setting. Also referred to as Right To Know, it requires that training and information be provided to any employees who have the potential of being exposed to a hazardous chemical "under normal condition of use or in a forseeable emergency." 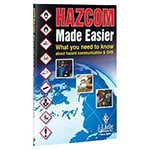 Meet requirements for HazCom and Globally Harmonized System training with programs in a variety of formats. 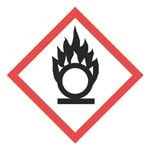 Choose from a variety of Globally Harmonized System and SDS labels. 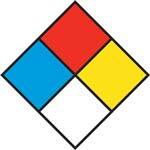 Hazardous Materials Identification System labels help you comply with OSHA's HazCom Standard. 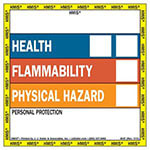 Get the National Fire Protection Association labels you need to comply with NFPA marking requirements. 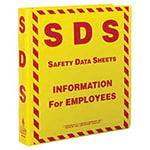 Get the tools you need for hazard communication, GHS and Safety Data Sheet (SDS) compliance. Laminated posters cover a variety of related topics. 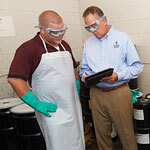 Gives employees critical info to better ensure safety around hazardous chemicals. 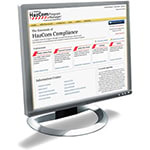 Online services help you develop and maintain a compliant program. 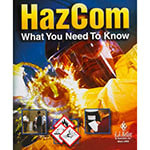 Comprehensive manual covers essential hazardous chemical info. Our experienced consultants will help ensure your compliance with OSHA hazard communication requirements. 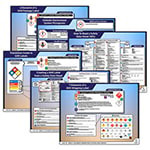 Our online safety management tool offers a wealth of info & tools for Hazard Communication and MSDS.